Gas shut off valve, brass. Modern looking accessory. 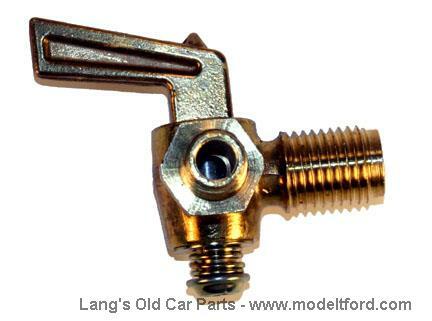 replaces the right angle inlet connection going into the carburetor. Excellent safety accessory to shut of fuel when storing your T.
Which position is the valve open or closed? The valve is on when the handle is pointed toward the fuel line. Every other dirrection is off.